75% Commission. 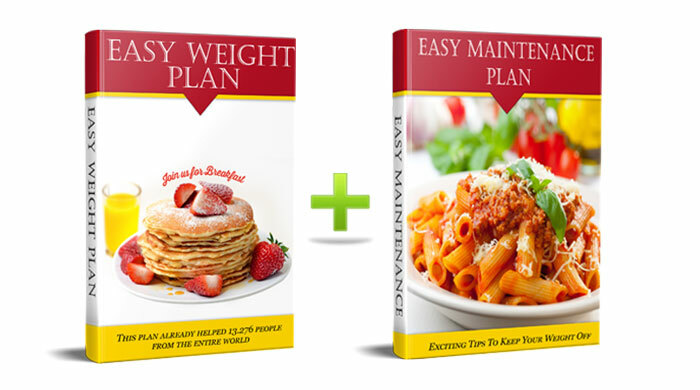 2 Amazing books in 1 Program for losing weight in a good healthy way. Multiple affiliate tools making your job easier. Video Testimonials are up too. Ask for more if you need. Start making money today! 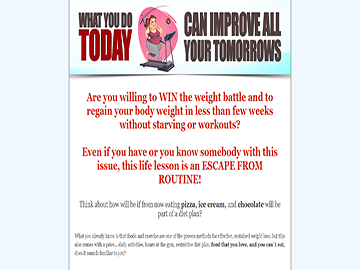 Here comes the next generation of weight loss plan! Whenever a customer clicks on your referral link, visits our website and makes a purchase within 60 days, we pay you 75% commission for that sale. Demographic: Works especially well with persons engaged in physical activity and with those who have family history with obesity or thyroid dysfunction. Easy Weight Plan Highly Focused Relevant Weight Loss Website Niches or people who are engaged in physical activities. What is focused traffic? Blogs or websites with dedicated following and real information that target weight loss problems.